I must be living under a rock. I don’t of course mean that literally it is just that my sister-in-law is always telling me about new cool stuff. Well, this new cool thing has been out since 1946. 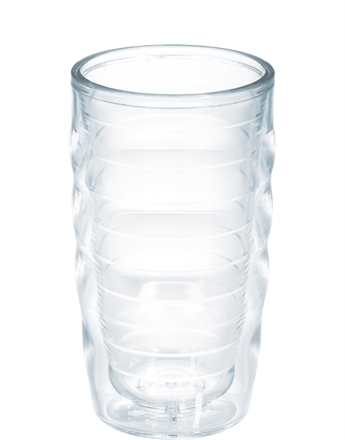 Have you ever heard of tervis cups? I hadn’t until two weeks ago. Sandy’s family picked us up and we all went to dinner together. They live approximately 30 minutes away from us and by the time six of us got to the restaurant, got seated, and had appetizers, dinner and dessert hours had gone by. It was a beautiful day in South Florida; I don’t remember the temperature that day. What I do remember is the ice cubes were still in the tervis mugs from when they left home to when we got back in the car after dinner. I can tell you that is not normal ice cube behavior for our area. Having never experienced the tervis phenomenon Sandy made sure we had a couple of mugs to use. They are really cool or hot. I have not had a mug sweat, it isn’t the heat of the summer yet either, they have a lifetime guarantee and will be replaced no questions asked, the cups hold hot or cold beverages, are dishwasher safe, and they have claims of being unbreakable. That is an impressive list of guarantees. Plus the drink glasses are made in America.